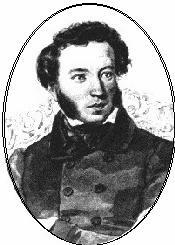 ﻿ Poetry Lovers' Page - Aleksandr Pushkin: "Worse Than an Idyl..."
You are here: Home » Russian Poets » Aleksandr Pushkin » "Worse Than an Idyl..."
ALEXANDR PUSHKIN: "Worse Than an Idyl..."
Has Nature raised her ugly ward! Oh, miserable sample of the appalling dream! By love or friendship through existence.